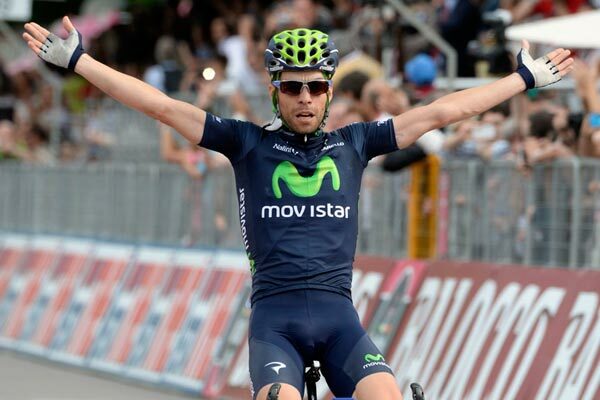 Giovanni Visconti celebrated his second solo win at the Giro d’Italia claiming the 17th stage to Vicenza in what is his Movistar team’s fourth victory of the race. Visconti launched his winning attack on the sole climb with some 17km remaining and was not caught despite repeatedly checking his shoulder. 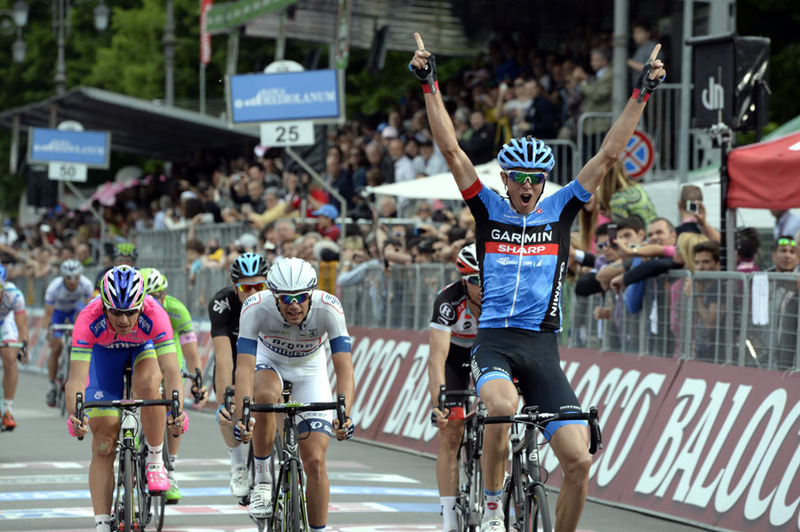 Ramunas Navardauskas (Garmin Sharp) led the maglia rosa group across the line 19 seconds later for runner-up with Luka Mezgec (Argos-Shimano) third. There was no change to the top three in the overall standings with Vincenzo Nibali (Astana) holding onto the pink jersey ahead of Cadel Evans (BMC). Sky’s Rigoberto Uran is third with four days remaining. “It’s incredible. I found myself again. The Galibier gave me back my energy and belief. I feel very well indeed,” Visconti said referring to his previous stage 15 victory. The stage had been classified as flat but some had suggested a category four climb featuring narrow roads, where Visconti made his move, may have been too much for the few pure sprinters left in the race like Mark Cavendish. Cavendish’s Omega Pharma-Quick Step team clearly had faith in its sprinter, who has picked up four stages thus far, controlling the pace at the front of the peloton for most of the day with Argos-Shimano. But the 28-year-old did lose contact on the 5.3km ascent that topped out at 12 per cent. Four teammates attempted to pace him back to the chase group but to no avail. Cavendish started the day with a six-point advantage over Evans in the red jersey standings and a victory today would have given him a handy buffer with just one sprint stage remaining on Sunday. The former world champion picked up intermediate bonuses but that advantage was narrowed to a slender four-points after Evans’s 10th place. Cavendish finished more than one minute down on the race winner, directing his frustration at another rider who rode across the line half a wheel in front of him to bring the trailing group home. 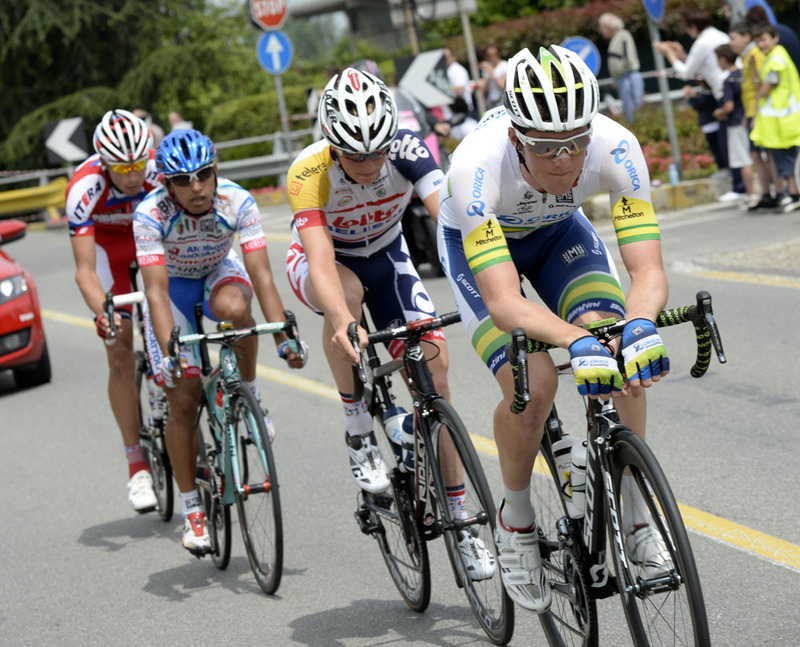 Australian national road and time trial champion Luke Durbridge (Orica-GreenEdge) spearheaded the main breakaway of the day that included Maxim Belkov (Katusha), Gert Dockx (Lotto Belisol) and Miguel Rubiano (Androni Giocattoli). The quartet achieved a maximum time advantage of around four minutes but was kept in check for most of the day before dropping back on the Crosara climb. Nibali has a one minuted and 26 second advantage over Evans ahead of tomorrow’s mountainous 20.6km time trial and two high mountain stages Friday and Saturday, which may yet be altered depending on weather.